Rajinikanth and Akshay Kumar's 2.0 is getting ready to rewrite box office records. Looking at the advance booking, it is safe to say that it will do a record collection. The stage is set for the grand release of India's biggest-ever movie 2.0. Shankar's magnum opus will release worldwide in three languages (Tamil, Telugu and Hindi) in unprecedented 10,000+ screens with the advance booking getting an outstanding response from the public. The industry is expecting 2.0 to rewrite box office records. The pre-release talk and the public response for the Tamil and Telugu versions of the multilingual movie are brilliant, whereas it is average for the Bollywood version. The trade experts predict the Bollywood version to gain momentum during the weekend. 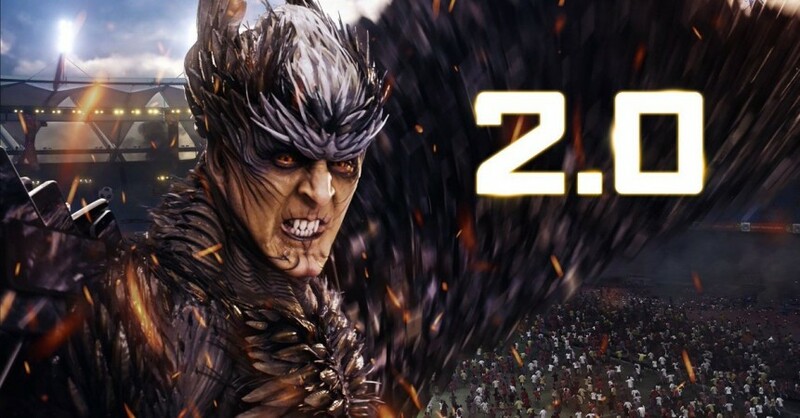 2.0 is being premiered across North America on Wednesday, November 28. The movie is expected to have premieres in 300+ locations. Looking at the early trend, the Shankar's film is expected to easily cross Rs $2-million mark in the US, but the interesting part of the story is to see whether it shatters the record of Baahubali 2, which grossed Rs $3 million. The first day and the premier collection of the SS Rajamouli's flick stood at $4,598,336. Aamir Khan's Thugs of Hindostan, which met with a poor response, got a humongous opening at the box office. The movie earned Rs 52 crore with an estimated gross of around Rs 70 crore in the country from all the versions. Thalapathy Vijay's Sarkar created a history by minting Rs 31.6 crore at the Tamil Nadu box office. The movie had hit the screens on the occasion of Diwali festival a few weeks ago in 650 screens in Tamil Nadu. Rajini's previous best in Tamil Nadu was set by Kabali which minted Rs 21.5 crore in 2016. Coming to 2.0, the movie is seeing in 650+ screens in the state and has a strong chance to beat the record of Sarkar. Akshay Kumar's Gold holds the record of being his highest-grossing opener. It minted Rs 25.25 crore on the opening day. His latest film 2.0 will easily beat this record and the Hindi version alone is predicted to earn around Rs 25-30 crore on the first day. SS Rajamouli's Baahubali 2 holds the records for the biggest day one grosser in India and worldwide. On the opening day, the Prabhas-starrer raked in Rs 152 crore in the country and around Rs 214 crore worldwide.